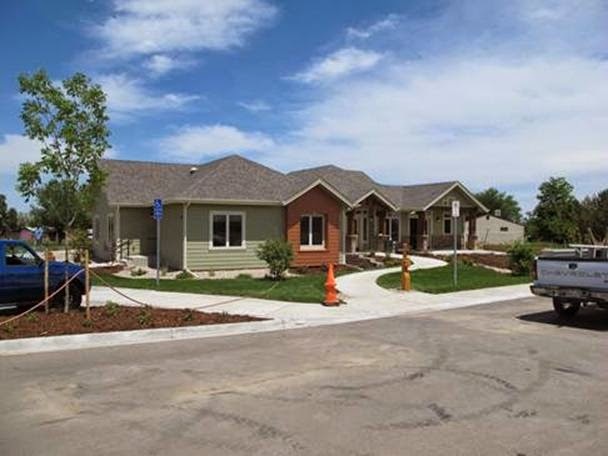 I am delighted to announce that construction on Imagine!’s Next Step Group Home in Broomfield is complete, and residents are scheduled to begin moving into the home July 1. 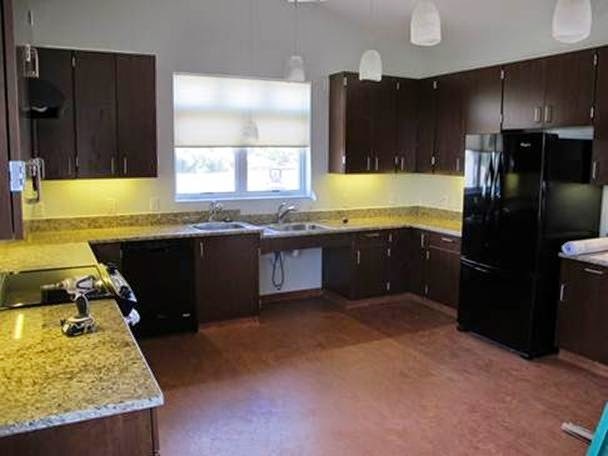 The group home will meet the multiple and varied residential needs of six low-income adults with developmental disabilities who are beginning to experience greater support needs of growing older. This specialized care will allow the residents to live in a neighborhood setting while avoiding a more costly nursing home alternative. 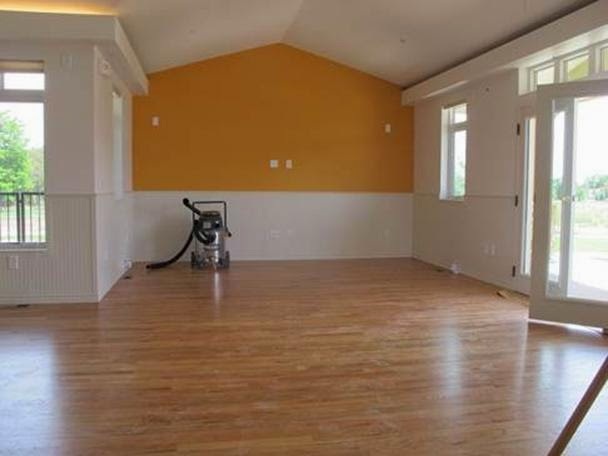 Take a look at a few photos of the home – it is really nice. 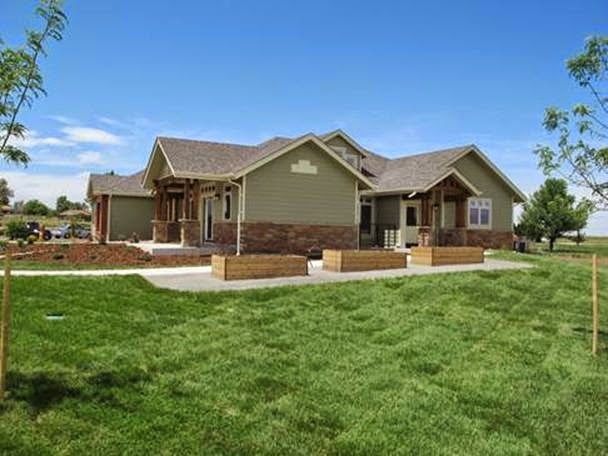 And, if you are so inclined, you can click on the links below to see the progress of the home throughout the construction. It is amazing how quickly the site went from a hole in the ground to the beautiful home now standing. 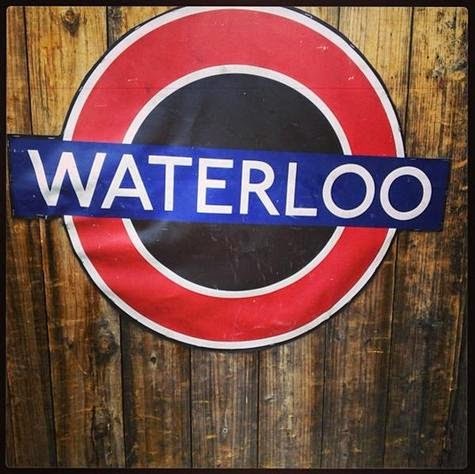 Today’s Labor Source 30 for 30 partner highlight: Waterloo. Waterloo Restaurant is located in the vibrant heart of the “old town” Louisville, CO, serving burgers and seasonal fare with a focus on real food, real music, and real friends. Thank you, Waterloo, for supporting your community by hiring individuals with intellectual and developmental disabilities. The video below was produced by the Colorado Department of Human Services and features the story of Bobby. Bobby lived at the Wheat Ridge Regional Center for nearly 50 years. A little less than a year ago, he moved to Imagine! 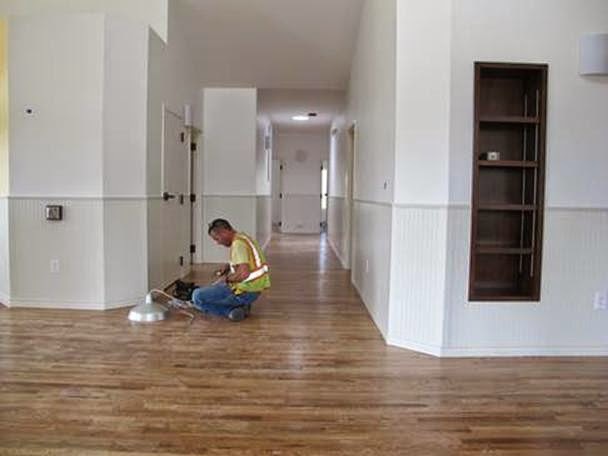 's 19th St. Group home, designed to meet the needs of people with significant physical disabilities. It was the first time Bobby lived outside of the Regional Center since he was six years old, and he is now enjoying many activities with his new neighbors and friends. He is particularly proud of his personalized room decorations and enjoys spontaneous activities like spending time with horses at a nearby stable. 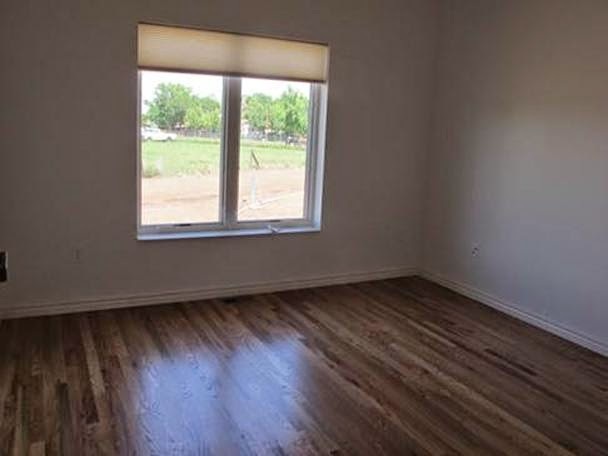 Besides dedicated caregivers, Bobby now has a room of his own, a park nearby, and a view of the Flatirons from his front door. Today’s Labor Source 30 for 30 partner highlight: St. John’s Episcopal Church. St. John's is the downtown Episcopal Church in Boulder, Colorado. Their congregation is made up of people of every generation who come from a wide variety of backgrounds - families, children and youth are rapidly growing in numbers. Over the past year, St. John’s Episcopal Church has employed two CORE/Labor Source participants at various times. Thank you, St. John’s Episcopal Church, for your commitment to our community and for providing employment opportunities for individuals with intellectual disabilities. “If you want to succeed you should strike out on new paths, rather than travel the worn paths of accepted success. This week, I have the pleasure and honor of attending the 2014 Alliance June Summit. As with years past, this year’s event will include several representatives from Imagine!. Members of our Leadership Development Program will be in attendance, Imagine!’s Director of Business development Greg Wellems will be presenting on “Communities of Passion,” and even I will be getting into the action, moderating a panel discussion on Person Centered Thinking. The summit will be somewhat bittersweet, however, as attendees will be bidding a fond farewell to Chris Collins, the longtime Executive Director of Alliance who is retiring at the end of the month. Chris has been a tireless leader on behalf of individuals with intellectual and developmental disabilities for more than forty years, and I wish her all the best. But there is sweet with the bitter, and the sweet part is that the summit will also be a welcoming ceremony of sorts for the new Executive Director of Alliance, Josh Rael. I am greatly looking forward to working with Josh. The addition of Josh to the Alliance team is emblematic of a change I see taking place all across the state in leadership roles for providing supports and services for some of our community’s most vulnerable citizens. Many organizations throughout our state have seen or are about to see changeovers in leadership, and the State is re-organizing and bringing in new leadership at all levels as well. I think this is a welcome change, one that has the potential to change the entire atmosphere in our field. Many of us currently in leadership roles throughout the state have been in those positions for a long time. It can be harder to come up with new ideas and approaches the longer we are in those roles (and I include myself in that category and plead guilty as charged, at least sometimes). The new faces of leadership will mean new ideas and approaches and a different way of viewing things. Those of us who have been in this field for a long time have paved and traveled on a road leading a certain way for our system of funding and delivering services. The road is very impressive, and along the way many great and noble structures have been built. 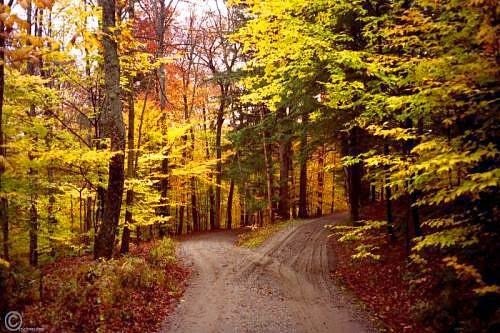 But the road tends to lead only one way. These new Young Turks don’t necessarily have to continue down the exact same road, however. They can build their own off ramps and travel different paths. They can even abandon the road entirely and get in a boat on big lake instead. None of what I’m saying is intended as any disrespect to those individuals and organizations that have established and continued to maintain the current path. Again, I consider myself one of those people, and I am proud of the amazing advances my colleagues and I have helped to foster in our system. But unique ideas and fresh perspectives will likely strengthen what we have already created, and everyone will be better off in the end. Volunteers mean so much to Imagine!, so today, I’d like to share stories about two Imagine! volunteers being recognized and honored for all they do for their communities. Ingrid Winter, an Imagine! volunteer, has been selected as a 7Everyday Hero by Denver’s 7 News. Ingrid has been bringing her therapy dog Raven to the Bob and Judy Charles SmartHome in Boulder every week for the past two years. Ingrid and Raven support and cheer on the residents as they do their physical therapy exercises. The residents love to snuggle and pet Raven, and Raven loves getting treats! Pictured below are Rebecca (sitting), who lives at the SmartHome, Raven (showing her Christmas spirit), and Ingrid. Or, starting Monday and for the next month, you can view the story about Ingrid by clicking here. Congratulations, Ingrid (and Raven), and thanks for making such a difference in the lives of individuals served by Imagine!. Thanks to Imagine! volunteer coordinator Elizabeth Hill for nominating Ingrid for this prestigious honor. I’d also like to offer my congratulations to Nikola Yager (pictured above), an Imagine! volunteer who was honored with the Boulder Chamber of Commerce’s “Emerging Young Leader” Award during the “Women Who Light The Community” Ceremony on Thursday, June 5. In addition to her work with Imagine!, Nikola has volunteered with Youth Global Leadership, the Conference on World Affairs, PeaceJam, Boulder-Nablus Sister City Project, the Boulder International Film Festival, Amigos de los Americas, Barrio E’, and Boulder High Body Positive. Wow!!! No wonder she was selected for this prestigious award. Well done, Nikola! Thanks for all you do for your community. By the way, if you are interested in volunteering for Imagine!, there are many different ways you can do so. Click here to get started. Today’s Labor Source 30 for 30 partner highlight: Crooked Creek Enterprises. Crooked Creek Enterprises believes that a properly managed Homeowners Association can enhance quality of life in a community while protecting investments. They support Homeowners Associations by encouraging their Boards to make fiscally responsible decisions that keep the long term health of the community in mind. They believe that the best way to run their business is to be available and on site often, forming relationships with residents. Over the past year, Crooked Creek Enterprises has employed five CORE/Labor Source participants at various times. Thank you, Crooked Creek Enterprises, for your commitment to our community and for providing employment opportunities for individuals with intellectual disabilities. In honor of the World Cup starting this week, I thought I’d share a story (originally shared with me by a member of the Imagine! Foundation Board of Directors) which demonstrates how far we have come in terms of the possibilities of assistive technology. Employees in Colorado State University’s Idea-2-Product 3D printing laboratory have developed a protective liner that will be worn by a Brazilian adult who is paralyzed, who, with the help of a robotic exoskeleton, will rise from a wheelchair, walk to the center of the field and kick a soccer ball to begin the World Cup games. The demonstration, known as the Walk Again project, will take place during the World Cup opening ceremony June 12 in Sao Paulo, Brazil. You can also read more about this amazing project here. Today, I’d like to share a couple of fun, interesting, and informative short videos about different aspects of Imagine!. The first video is an overview of Imagine!’s Dayspring department, which provides educational and therapeutic services to young children with developmental delays and disabilities. The video was created by Dayspring employee Caitlin Looney. 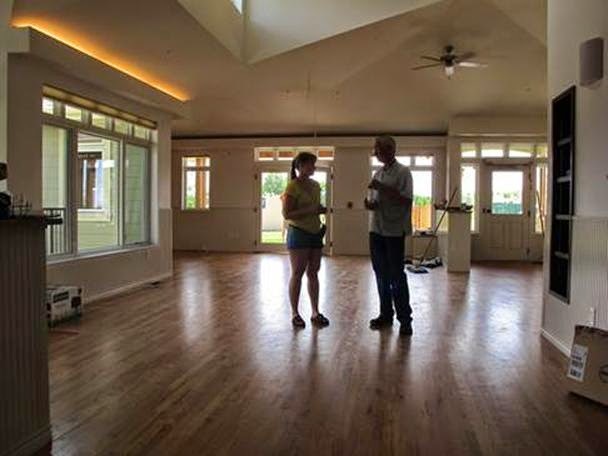 This next video below is an introduction to the residents of the Bob and Judy Charles SmartHome in Boulder. The video was created by Site Supervisor Shannon Bundy, and staff members Alex Johnstone and Joseph Tonelli recorded the original music. Great job Caitlin, Shannon, Alex, and Joseph! In my role as president of the Board of Directors of Alliance, I am honored to announce that Josh Rael has been selected as the Executive Director of Alliance. Some of my blog readers may know Josh from his work over the past eight years with Capitol Success Group. Capitol Success Group specializes in the appropriations process and human service issues related to nonprofits and statewide membership organizations. At Capitol Success, Josh worked closely with Alliance on legislative and budget initiatives. Josh began his new position at Alliance June 1, 2014. This will provide an opportunity for him to spend some time with Chris Collins, retiring Executive Director, who leaves June 30. Josh has a fascinating background. He was born and raised in Pueblo, Colorado and is a fifth generation Coloradan with strong family ties to Southern and Eastern Colorado and currently resides in Denver. 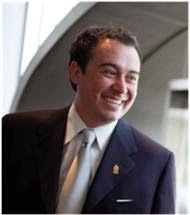 Josh received a Bachelor of Arts in Political Science from Colorado State University-Pueblo, a Juris Doctorate from the University of Denver Sturm College of Law and is completing his Master’s in Public Administration with an emphasis in Nonprofit Management at the University of Colorado-Denver. After law school, Josh became a lobbyist and worked for the Capitol Success Group for almost 8 years. The Capitol Success Group specializes in the appropriations process and human services issues related to nonprofits and statewide membership organizations. In 2011, Josh was selected to attended President Obama’s White House Hispanic Policy Conference at the Washington, D.C. And in 2007, Colorado's Former Governor Bill Ritter appointed Josh to the Colorado Creative Industry Board (formally the Council of the Arts) for two terms. While in law school, Josh served two years as an elected officer of the Latino Law Student Association and helped win, organize, and successfully host the 2005 National Latino Law Student Conference in Denver. While in school, Josh also worked for the Colorado Public Defender’s Office, the Colorado Mental Health Institute’s legal access department, the Colorado General Assembly, the Walt Disney Company, Koncilja and Koncilja Law Firm and the Ritter for Governor Campaign. Over the past few years, Josh has also been a guest lecturer at the University of Denver, Colorado State University- Pueblo and the University of Nevada. Josh is also a successful national recording artist. One of Josh’s crowning achievements was landing a spot on the 2004 Grammy Nomination Ballot in the “Best Pop Album” and “Best Male Pop Performance” categories. Josh’s song “Time” was featured on the “Viva Fiesta San Antonio” compilation CD. Josh also appeared on the Food Network in 2009, on the “Blind Date Cakes” Food Network Challenge. From 2007-2012, Josh owned and operated a Colorado talent management company representing musicians, actors, and models and managed a professional dance team that was featured on MTV’s America’s Best Dance Crew. After years of training, hundreds of live performances, and many grueling auditions, Josh’s career took off with the singing of the National Anthem. Josh has had the honor to sing the National Anthem for many public figures such as President Clinton, Vice President Gore, Wayne Newton, the late Selena, Mario Lopez, and governors, senators, and representatives from around the country. The National Anthem also gave Josh the opportunity to sing at dozens of professional sporting events and venues such as, Mile High Stadium, the Pepsi Center, and Coors Field. Please join me in welcoming Josh to this important role. Today’s Labor Source 30 for 30 partner highlight: Lafayette Parks. Lafayette’s open space, trail system, and parks provide a balanced network of formalized landscapes and play structures, outdoor recreation opportunities, open lands, natural areas, wildlife corridors and habitat areas, view corridors, and green ways that preserves the city’s natural, aesthetic, and community character, and provides connections between neighborhoods, the natural environment, and numerous community amenities. Over the past year, Lafayette Parks has employed three CORE/Labor Source participants at various times. Lafayette Parks has been employing individuals served by Imagine! since 2011. Thank you, Lafayette Parks, for your commitment to our community and for providing employment opportunities for individuals with intellectual disabilities. Last weekend, I was noticing how green everything in the great outdoors is at this time of year (when it is not quite summer but sure feels like summer), and I found myself thinking about fertility. This is a family friendly blog, so get your head out of the gutter and don’t assume I was thinking something inappropriate. Actually, I was thinking about how we at Imagine! are in the enviable position of being right on top of fertile ground for improving the lives of individuals with intellectual and developmental disabilities (I/DD). This fertile ground starts with the huge numbers of new resources that have been put into Colorado’s funding system for services for people with I/DD. These resources opened the door for many more individuals in need to get the vital services they need. Gov. John Hickenlooper and the Colorado Legislature have recognized that the community of providers has struggled through some lean years in terms of funding, and this new funding should help ease the belt-tightening and allow for a significant reduction of waiting lists. At the same time, we have seen an influx of new faces and ideas at all levels of our system, and the lines of communication between the systems many stakeholders seems to be improving, to the benefit of all. 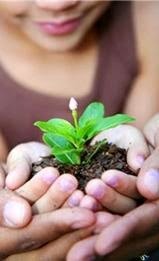 Of course, being on fertile ground does not guarantee that new plants will grow healthy and strong. You need to have the skills and tools required to be able to cultivate the crops so they can develop to their full potential. And I feel very good about how Imagine! is positioned to truly cultivate the fertile ground we find ourselves tending. If I’ve learned anything from my 30+ years in this field, it is that change is the only constant. Rules change, funding changes, people change, philosophies change, technologies change. The list could on and on, and the pace of change seems to increase every year. That means that an employee who isn’t able to adapt will quickly find him or herself obsolete. Having an expertise in a certain skill won’t help you if that skill is suddenly no longer useful and you can’t adapt, or worse, you become irrelevant. I’ve seen that happen to individuals as well as to organizations. Furthermore, as those in our field continue to emphasize (and rightly so, I might add) person centered thinking in service delivery, we must recognize that flexibility and adaptability go hand in hand with a person centered approach. I often point out that in 2013, Imagine! served some 2,600 individuals. Of those 2,600 individuals, each had his or her own unique needs, goals, dreams, and ideals. There is no way, and there never has been a way, for a “one size fits all” approach to service delivery to be successful in our field (although some have tried hard to make it so). Imagine! is an organization driven toward innovation, and we find ourselves at one of the most fertile times in our 51-year history. I feel confident that we have the skills, the employees, and most of all, the desire to take full advantage of this fertility so we can grow and create more opportunities for individuals with I/DD to live their lives to their full potential. We are a group of talented and committed gardeners, and I expect our garden to be bountiful for many years to come.